Give your productivity a boost with the comfortable design and convenient features of a high-performance, energy-conscious HD 22" Monitor with LED. Comfortable? Let’s get to work. Whether you’re using the P2213 to manage complex spreadsheets or to create your next big presentation, being productive has never felt better. The P2213 offers full adjustability features such as tilt, swivel, pivot and a broad height adjustment range of 130mm (5.12"). With Enhanced Menu Rotation software, a simple on-screen prompt enables you to rotate your screen from landscape to portrait and back again. You can even mount it to the wall to save valuable desk space. Easily connect your desktop or laptop to the P2213 via a standard VGA port, or take advantage of the DVI connector, which can present an outstanding digital image. Two convenient USB ports offer convenient connectivity for your peripheral devices such as mice, webcams, keyboards and more. Find your inspiration in every colorful detail. The 22" P2213 Monitor will motivate and captivate with clarity, performance and visual precision. Experience the sharp imagery provided by 1680 x 1050 (max.) at 60 Hz HD resolution and a high dynamic contrast ratio of 2,000,000:1 (typical), all on a 16:10 aspect ratio widescreen. Discover a world of color. Your presentations, slideshows and image-intensive documents will come to life on the P2213, featuring a high color gamut of 83%1 and a color depth of 16.7 million colors. Tailor your settings to suit your applications with the Auto-mode tab found in the Dell Display Manager. You can manually adjust your settings as you go, or auto-assign optimum preset modes to specific software applications and media players. Take responsibility for your business and the environment. Invest in a reliable, energy-conscious Monitor designed to help minimise environmental impact, maximise business value and control operating costs. Active-off mode and PowerNap2 software helps avoid wasting power when your Monitor is idle. Dynamic dimming3 helps ensure you only use as much energy as your applications require. Mercury-free LED backlight is a low-energy light source that helps lower your power consumption. 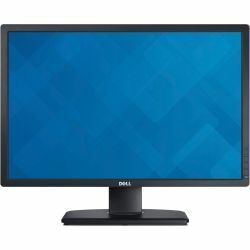 Dell Professional Monitors are compliant with ENERGY STAR, EPEAT Gold, CEL and TCO-certified display requirements. A stable, reliable life cycle helps ensure that your investment today will provide product line consistency for the future and help preserve your budget. Dell’s Premium Panel Guarantee offers a free panel exchange in the event of a single bright pixel (during Limited Hardware Warranty4 period) for added peace of mind. The P2213 features an eco-conscious design with arsenic-free glass and a mercury-free panel. The BFR/PVC-free Monitor (excluding cables) uses more than 25% post-consumer recycled materials in its chassis. Eco-conscious packaging includes easily recycled corrugated cardboard that is free of expanded polystyrene foam (EPS). 1080p (1920x1080) also known as Full High Definition is a step up from high definition and used for media consumption and general gaming for many types of displays including televisions, laptops and computer monitors. 16:10 is an aspect ratio mostly used for computer displays and tablet computers. Preferred for productivity-oriented tasks, such as editing documents or spreadsheets and using design or engineering applications. The first standard in the VESA family was introduced in 1997 and has been continually used as the main mounting standard for many Monitors and TVs.